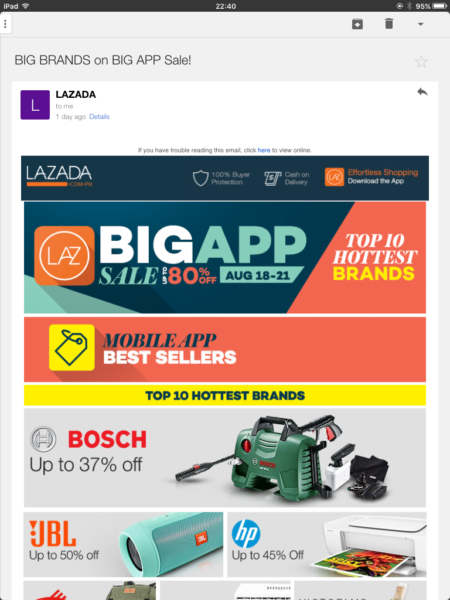 Email marketing is among the most effective tools you can have as an ecommerce business owner. Really, this is one of your strongest aces in customer relations and product promotion. With its cost efficiency and an added benefit of building rapport to your customers, email marketing is definitely something you should consider to foster a life-time long relations with your clients. Take the opportunity to hook your visitors up the moment they sign up on your website. Offer welcome discounts for their first purchase. This doesn’t only boost your conversions but also foster a good relationship with your new customers. Consider this an effective advertisement for your website while giving your clients a good first impression on your brand. This is where you prove to your customers that you are not only up to their purchase. Create an impression that your Magento website is a dedicated online store that put customer satisfaction on a priority. After the transaction has been done and the product has already been shipped, send a follow-up email asking for their product review. Your customers’ feedbacks are as important as your brand so encourage them to leave an honest, well prepared review. Along with a quick survey, you may choose to offer discounts for future transactions. What better way to keep your loyal clients coming that to offer exclusive discounts and special offers. Encourage them to reach a certain amount of purchase to qualify for an exclusive deal. And do not only limit your offers to your products. Your deals can range from free products, concert tickets, coupons, rebates, or free services. While taking into account your ROI, be creative with your offers. Find a deal that works best for your chosen demographics as this can generate a positive word-of-mouth promotion. While taking care of your loyal customers, do not forget the possible conversions you can utilize from abandoned carts. Out of an average of 67% shopping cart abandonment comes 20.8% comebacks. Know that your abandoned carts are not a lost cause at all. It just requires a huge need to track the missing sales opportunity and there is no other effective channel to reach your inactive customers than sending an effective e-mail invitation to remind them of their carts. 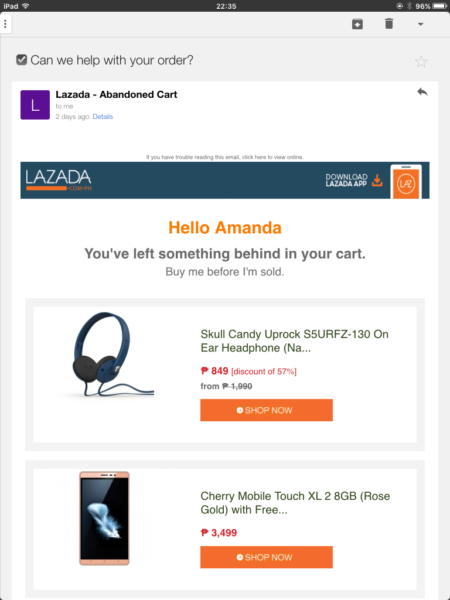 Tip: Given the huge percentage of shopping cart abandonment, your effort in retrieving lost sales via e-mail may be rendered useless on a manual approach. Learn about e-mail automation to enhance your performance. Do you have any former loyal customers who have not stopped making transactions for quite some time? Some may have gone as far as not visiting your website. Encourage them to come back. Grace them with discount coupons, free shipping services, or simply remind them of the items they once checked some time ago. You might as well promote a transparent interaction with your customers by asking for their overall satisfaction rate back when they were still active in your website. There could be a number of possible reasons for unresponsive clients and a concerned business owner must always be updated about that. Most often, a good offer coupled with a sincere customer’s service can get your inactive visitors back to your website and engage in transactions again. Tip: It can be quite a load to come up with an idea for a “We miss you!” series without having to sound intrusive as saying “Why does it seem like you now hate my brand?” For this, engage your readers to an honest conversation. Ask if there are any issues or glitch in your website that might have caused them to stop subscribing to your services. Gaining an insight of who to include in our email list, composing an effective email is yet another art to master. It is one thing to know who our recipients are and another thing to create a powerful email campaign. 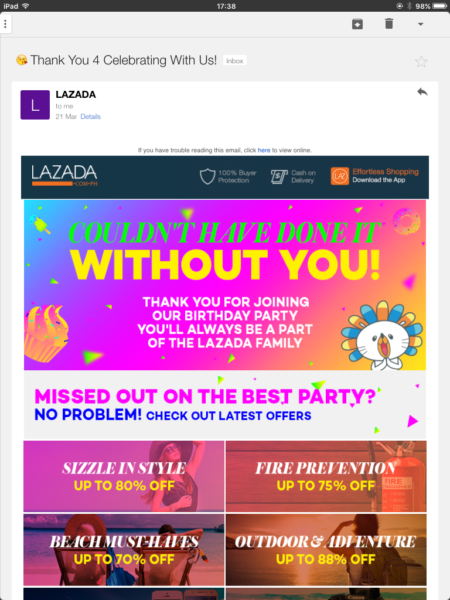 Remember, even the best targeted and timely email can hardly do anything when your emails themselves are not well-crafted. Make sure to organize and format your email to appeal to your recipient. Have you ever received an e-mail and decided to discard it before checking? If you haven’t, which is quite unlikely, well I have. And I am not the person to develop that practice, nor am I the last. It’s pretty sure your customers do that as well. So make sure your emails aren’t among those wasted messages in their inbox that goes straight to trash bins. One way is to see to come up with an irresistibly inviting subject line and pre-header. 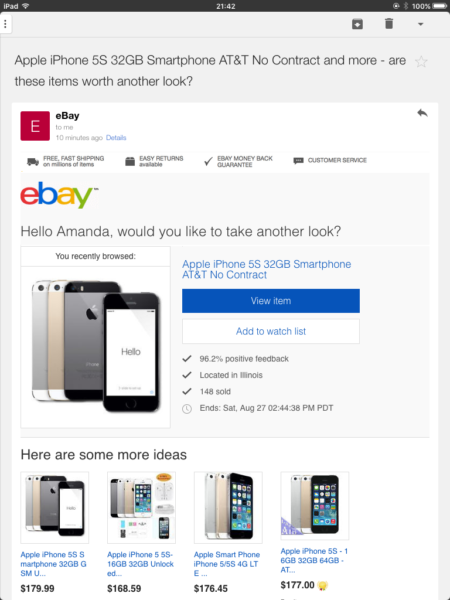 Your subject line and pre-header are what captures your recipients’ attention. Hence, this must hold your client’s attention. Your words must be designed as if they are shouting some great relevance to your customer’s needs. 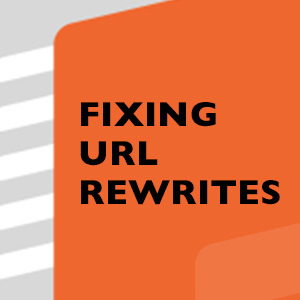 Subject lines should be 50 characters less (letters, symbols, and spaces included). Too good to be true approach is always a fail. Avoid spammy words like “guarantee”, “urgent”, or the like. Be catchy but do not take away your customers’ right to decide for themselves. Try the “Hi [name], [question]?” approach. It provokes opens and replies. Do not be ambiguous. Gone are the days when “You won’t believe it but it’s true!” campaign still works. People have learned to adopt the thinking that if it’s too good to be true, it most likely is. Hence, be direct as to your purpose of e-mail. Let them know what they’re getting from it. 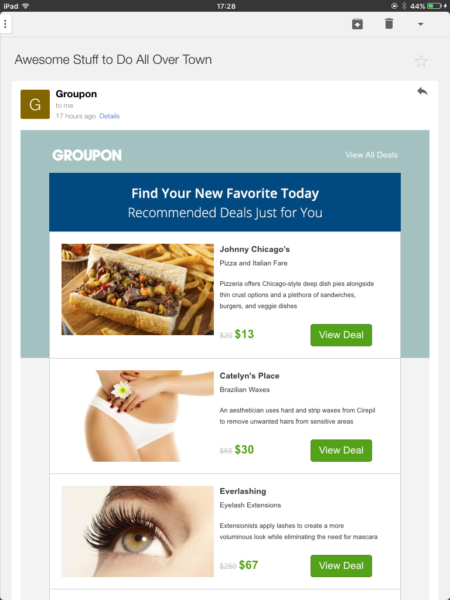 This Groupon e-mail may just be one of the best header to learn from. While it promotes a strong CTA, it was presented in a subtle manner by inviting their client to find his new favorite. Always leave the decision to the reader. 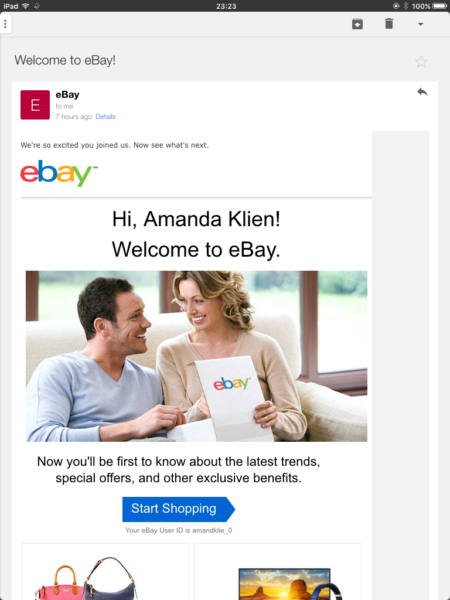 Lesson: Make your readers feel in control of their purchasing transactions. Make your viewers feel VIP. Addressing your customers by name evokes a more personal touch and are therefore harder to ignore. You may also want to go beyond the name by taking into consideration your customer’s time and location. By creating various e-mail themes depending on the culture and the goings on in your client’s city or country, you get a deeper interaction. You do not have to fake familiarization by addressing your clients with their personal nicknames. Other factors for your audience segmentation can be your client’s’ age, business and geological location, previous purchasing transactions, buying frequency, device used to access your website. Your customers will not waste their precious time reading a novel-long email no matter the benefit you offer them. Also, a clear and brief approach will make your CTA stand out. Try this trick: After designing your CTA, blur your eyes or look away from the page. Afterwards, look back quickly to see which element stands out. If your call to action pops enough, you’re doing it well. 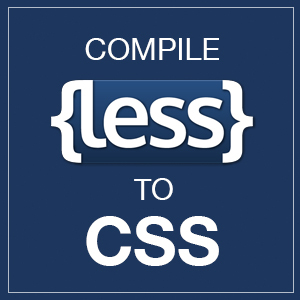 If not, make it more visible and more dominant in the page. But how? Use a color pallet that stands out, depending on your e-mail style and brand logo. Your CTA doesn’t have to have the biggest font size in your page. Most often, a good choice of color, button shape, and catchy font is what makes your CTA stand out. Take a look at this Cloud Hosting CTA e-mail. Notice their CTA buttons sleekly and wisely positioned on the most convenient area with an eye catching color contrast for more visibility. 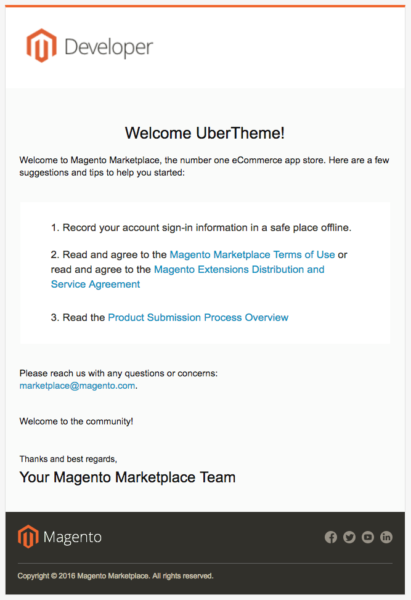 No email marketing strategy can be complete without a landing page. 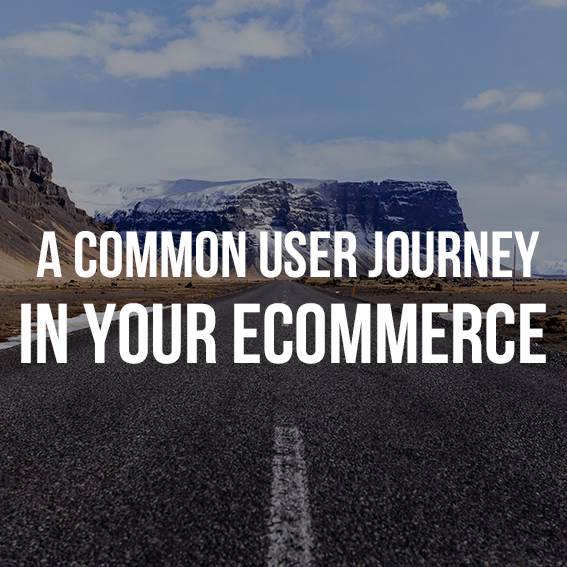 Remember, whatever your purpose of the e-mail, be it a welcome series or a follow-up notice, your goal is to engage your customers to make any kind of transaction in your Magento store. Hence, create specific landing page links for specific marketing campaigns. Also, when your e-mail is targeted to a specific goal, it would be easier for your e-mail recipients to perform the action you want them to do. As the long standing marketing proverb goes, timing is everything. So aside from a good campaign and cleverly drafted e-mail, knowing when to send them is yet another factor to consider. Go into google and you may find a plethora of suggestions as to which time is best to send e-mails. Here’s a caution though: they don’t always work. Remember, there is no such thing as one-size-fits all in marketing strategy. You could read everything about 8pm -- 12 am as the best time to send e-mails, or how perfect sending e-mails on Tuesdays is, while another site claims that 2 pm on Wednesdays is the best. The fact is that these are all true to a more specific scale but may not work in the general sense. So when is really the best time? It depends on your audience and that is something you cannot google. So if you really want to be a rockstar in the world of email marketing, test! A/B test like crazy for optimal results. Also, consider your demographic’s time zone. In the event that you get subscribers from different parts of the world, it would be wise to send e-mail on different times of the day as well. Bounce rate -- This is the amount of your undelivered emails for various reasons like incorrect addresses or non-existent address. A hard bounce rate can mean a great waste of your emails. Remove them by all means to avoid being rated as a spammer by internet service providers. Click-Through rate (CTR) -- This is measure the number of clicks your audiences make in your email. This gives you an insight of how responsive your audiences are to your email. Conversion rate -- Obviously, this is your ultimate goal in email marketing. By knowing the percentage of your converted CRTs, you know if your strategy is doing its job right. List growth rate -- know how quick your email list is growing. As a thriving email marketing program, this is an important factor to know whether or not your subscribers are growing in number. Due to different factors, your subscribers may change emails or unsubscribe. Know your number of responsive subscribers to avoid wasting emails. This makes updating promotions and email campaigns easier to manage. Tip: A/B testing -- Ahh! The good, ol’ fashioned A/B testing strategy! For maximum optimization of your email ideas, by all means, go crazy with this. Yes, please. Whether to nurture leads or drive sales, your e-mail strategy can either make or break your Magento store. This is an invaluable asset to your marketing as it helps you get to know your prospects; it gives you a better insight of your customers; and it’s your opportunity for a more personal interaction with your clients. A good insight of how your email campaigns fit in with your Magento customers can offer you massive ROIs and quickly drive sales. Do you have any take-aways from this post? Or you might have tried some of these tactics already? Which one do you find most useful? Share your thoughts in the comment box below!